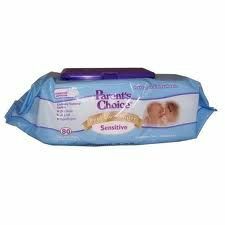 This is the only wipe I use for both of my children.They are cheap and last for awhile.They are also thick for being a cheaper brand.love them! These were great on the go or to clean little hands and face. I felt they were a little rough for their delicate bum. Just as great if not better than the pricier brands. Thick and cheap! Love them! I used to buy these instead of paying the extra money for name brand. But I soon went back to name brand because these would irritate my son's skin. They have way too much water in them so I'd have to squeeze it out before use. I received these as a baby shower gift and I honestly loved they feel exactly like the honest company wipes but at a cheaper price. I do like that they are thin and soft but durable. I do feel like they do the job. I will purchase these wipes again after I run out. I also like that the ones received weren't scented. I received these as a baby shower gift and I honestly loved they feel exactly like the honest company wipes but at a cheaper price. I do like that they are thin and soft but durable. I do feel like they do the job. I will purchase these wipes again after I run out.